Big Bazaar unites the entire country with the tyohaar of shopping. 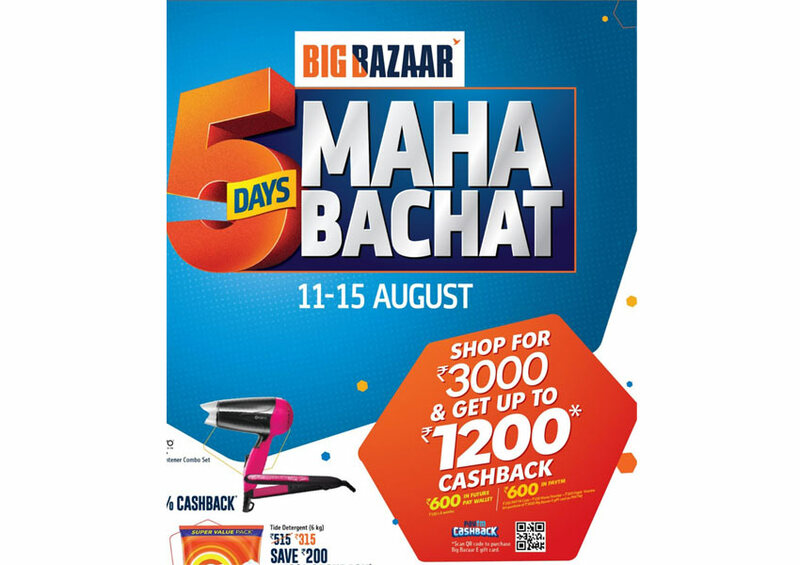 Big Bazaar, the pioneer of celebrating mega discounts and sale during Independence Day since 2006, is back with ‘5 Days Mahabachat’ from August11 to 15, 2018. Taking the shopping experience to a different level and empowering every Indian to be a part of this shopping festival, Big Bazaar has announced its Omnichannel approach with a bang. To get the young India participating and be relevant to the millennials, they have announced the campaign with ‘The Mahabachat Anthem’and are bettingbig on gamification, ‘The Sone Ki Chidiya’, which have already taken the internet by storm. The brand also revealed that all the Mahabachat offers will also be available at bigbazaar.com for customers to shop online from across the country. Bigbazaar.com will be open for customers from 10thAugust midnight 12:00am. What’s even more interesting is that it will also be available at almost 1000+ stores across the Future Group formats including Easyday, Nilgiris, Heritage, Central and Brand Factory. Any customer walking into these stores will be able to enjoy the Mahabachat offers right there and deliveries will be happening through multi-channel orchestration that’s unique to the Group.